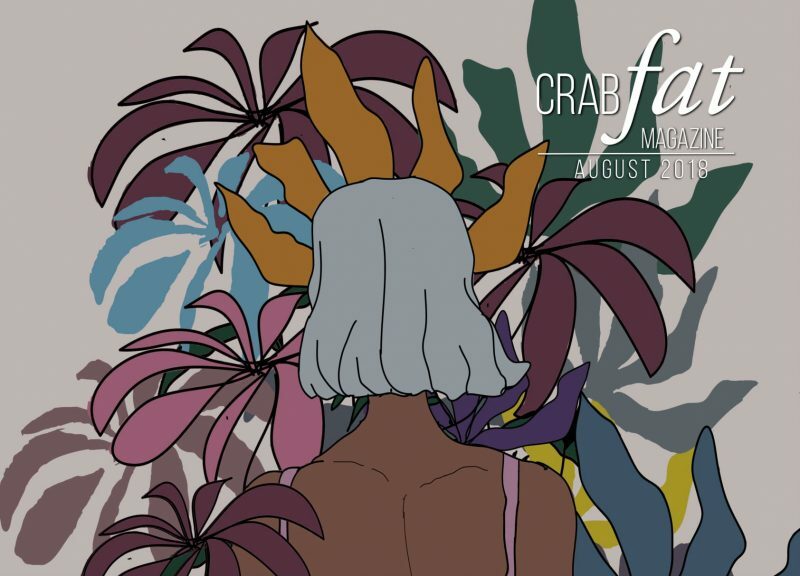 This month, Lambda spoke with Caseyrenée Lopez, Editor-in-Chief of Crab Fat Magazine, about creating inclusive literary spaces, amplifying underrepresented voices, and blurring genre boundaries. 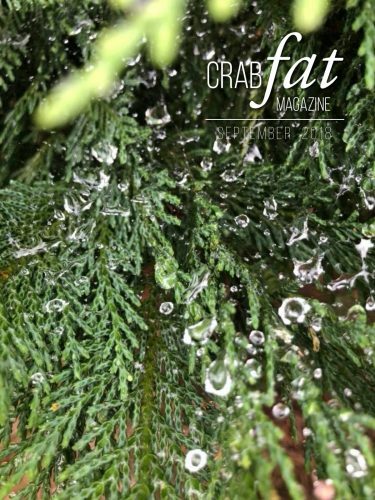 Tell us a little bit about Crab Fat Magazine and its mission. Crab Fat Magazine is my way of coping with a world that doesn’t see people like me as people. I made a choice to platform and amplify voices that bigger journals and presses won’t. The mission is simple: to provide space for people of color, queer and trans people, disabled people, women, femmes, nonbinary people, neurodivergent people, trauma survivors, undocumented people, and non-Christian people. I want to live in a world that values everyone, not just white cis men, and Crab Fat Magazine is my way of making that happen, even if it’s a small thing. Each issue is comprised of various themes and topics, but we aren’t afraid to discuss sexuality, gender, mental illness, racism, privilege, colonialism, and other issues that are often ignored by larger outlets. How long has Crab Fat been around? How has it developed or changed since it began? I started Crab Fat Magazine in June 2014. At the time, I didn’t know what the hell I was doing. I only had one thing in mind when I did: make space for queer and trans people. It came shortly after my first go at graduate school went south and I ended up in therapy. After a few months I realized that I wouldn’t be able to keep up with the flow of submissions and in 2015 brought my friend and housemate, Willy, on board to read prose. Damaged Goods Press also grew out of Crab Fat in 2015 because I received so many amazing submissions and wanted to further platform queer and trans writers exclusively. With that said, Crab Fat originally began as an annual journal, but within 3 months I knew that an annual wasn’t going to cut it. I moved to a quarterly schedule, and that worked for about a year, but then decided to transition to a monthly schedule because the quality of work we receive is outstanding. While most of our issues are online, we do an annual “best of” print anthology of our favorite 25 pieces from the previous year. Over the last several years the aesthetic of Crab Fat has become clearer: we favor the queerest, most feminist experimental/hybrid work we can find. We think of genre as an arbitrary thing but know it’s helpful for most people to label their work a certain way. We actively seek poetry, fiction, creative nonfiction, visual art, and anything that blurs the lines of genre and form. 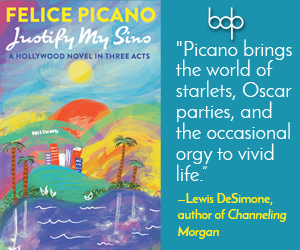 Our favorite things are lyric essays, memoirs, fragmented/nonlinear prose, and prose poetry. 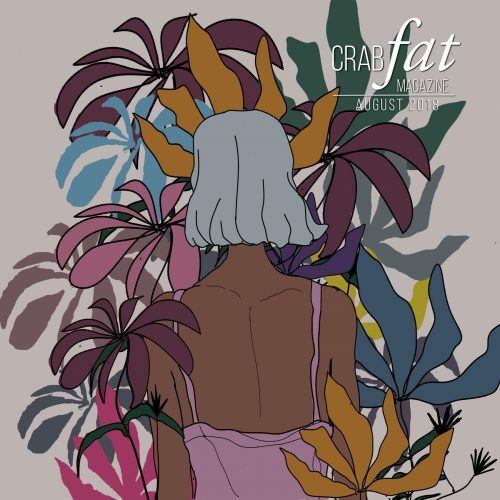 How would you describe Crab Fat’s aesthetic? Crab Fat’s aesthetic is queer, feminist, punk, avant-garde, low brow, and anything else that finds a way to subvert white cis hetero ideas about what writing is or can be. Can you highlight some of the work Crab Fat publishes? “god is the lottery” by fargo tbakhi is one of the pieces from our September 2018 issue that has really stuck with me over the last several months (since I first accepted it). As someone who grew up very poor, on food stamps and WIC, I have a strong draw to pieces that highlight the struggles of being poor. I don’t mean being broke, as in your bills are covered and you can’t go out for drinks, I mean poor, as in “I don’t know what you’re eating tonight because there’s no money left for food today.” It’s so important for me to amplify these voices because I’ve worked my whole life to dig myself out of poverty, and I need people to see that being poor is a social issue that affects everyone. We, as a society, cannot continue to turn a blind eye while people go hungry, live on the streets, or die because they can’t afford medical care. I publish pieces like this because it’s important for people to see that being poor is not a character flaw, it’s the result of living in a world that allows men to hoard billions of dollars (I’m looking at Jeff Bezos and Elon Musk) while people starve to death. “I want for Elliot a fullness.” by Jesse Della Riley is one of my favorite pieces in our 3rd annual atheist writers issue. I love the queerness of this poem and the way that Riley uses language to explore sexuality and belief, without ever addressing it directly. The atheist writers’ issue is something that I had to do. As an atheist, I felt increasingly invisible in a world that is built around organized religion, and I needed a way to highlight the work of atheists that didn’t just discuss nonbelief. This annual issue is one of our most popular issues, and reveals the diversity of atheists, proving that atheism isn’t just a white man’s club. In fact, the 2018 issue is comprised solely of women, femmes, and immigrants. “Chronology of Loss” by Wryly Tender is from our August 2018 issue, and it highlights so many of the aspects I love in contemporary writing. It’s non-linear, prose poetry, lyric essay, memoir, all rolled into one beautiful piece. The way that Tender discusses gender, consent, trauma and the many forms of virginity is something that I want to see more of in writing. The way that pieces like this work to bend the rules of genre make it so much more interesting to me, and only furthers my belief that genre is an arbitrary thing that limits the potential of what writing can do. 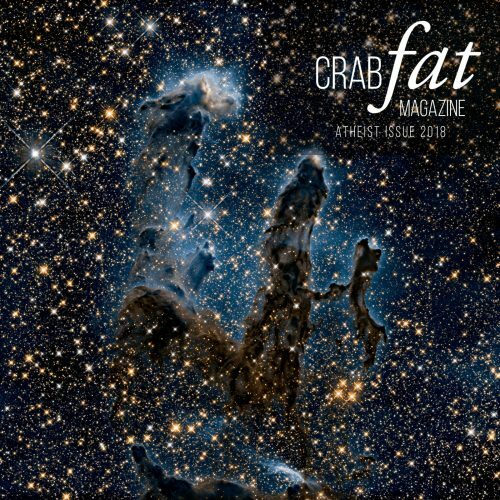 What would you like writers and artists interested in submitting to Crab Fat to know? We are always reading and looking for interesting and insightful writing. We publish writers from all walks of life, and simply want to showcase unique voices. We encourage writers new and established to send us their work. We’ve published people as young as 14 and as old as 90. We’ve published people with MFAs and without. The only prerequisite for submitting is to read the submission guidelines as there are some topics that are off-limits to us (stuff like gratuitous violence against women, femmes, children, and animals is a nonstarter for us). Darryl Denning was first published at the age of 12, as a prizewinner in the Los Angeles Examiner’s “Bill of Rights Essay Contest”. His poetry has recently been published in the Saved Objects Project, Offbeat Magazine, the Curious Element, Flashpoint Publications, and Chelsea Station Editions. 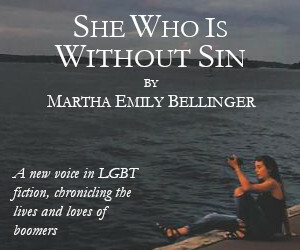 He is the Facilitator of The Writing Group at the Los Angeles Gay and Lesbian Center.